Hey everybody, I’m Sasha. cd invited me to join as an author here based on some photos I’ve posted to the Flickr pool. Being more of a photographer than a writer, expect to see plenty of images from me. I’m a history geek, as well as a cocktail and bar nerd, so it wouldn’t be at all surprising to see posts relating to those as well. My day job is in the construction business, which may also provide fodder for a post now and then. Anyhow, hello there and please enjoy the photo while I work up my real first post. Hiyo :) I’m new here, and I love your Flickr photo. What kind of camera do you have? Thanks so much. I shot that with an Olympus E-500. Oh fun. I have some point-and-shoot Kodak camera. Definitely doesn’t capture pics like that does. Darn, now I have that Eagles tune running through my head…love the photos…spoil us and post mooooooore! Welcome Sasha! That’s an awesome picture, I love the way the Tower Bridge glows golden at night. There used to be an HDRI image of the bridge on the wikipedia I really liked, dunno if its still there. @sac92: Glad you liked it! 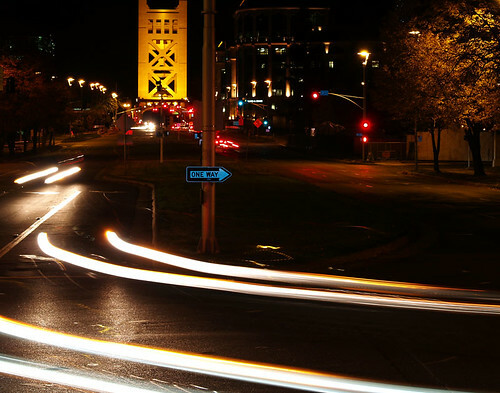 I tried and avoided the usual "Sacramento photographer" takes on the bridge. Your tower bridge photo is fantastic. I was browsing through blogspace for Sacramento related topics to read (and perhaps write on) when I stumbled upon this blog and that picture. It almost jumped off the page at me!